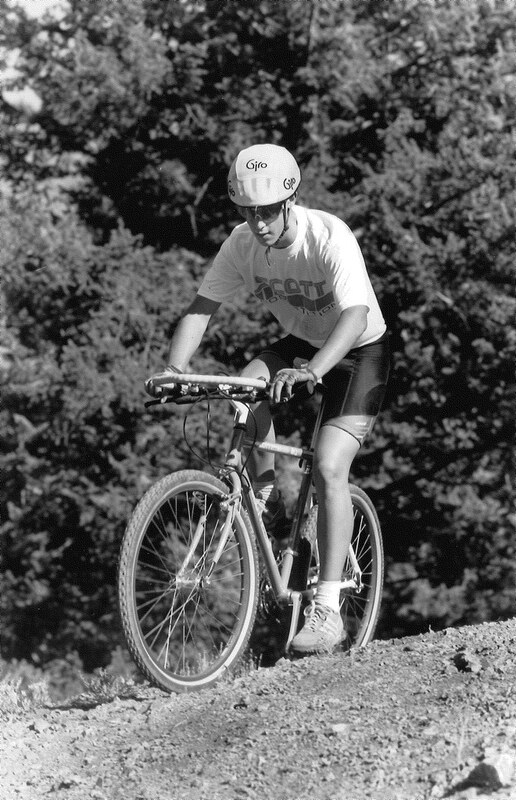 The legendary John Tomac, shown here, was still establishing himself in the mountain bike world in our November 1988 issue of Mountain Bike Action. 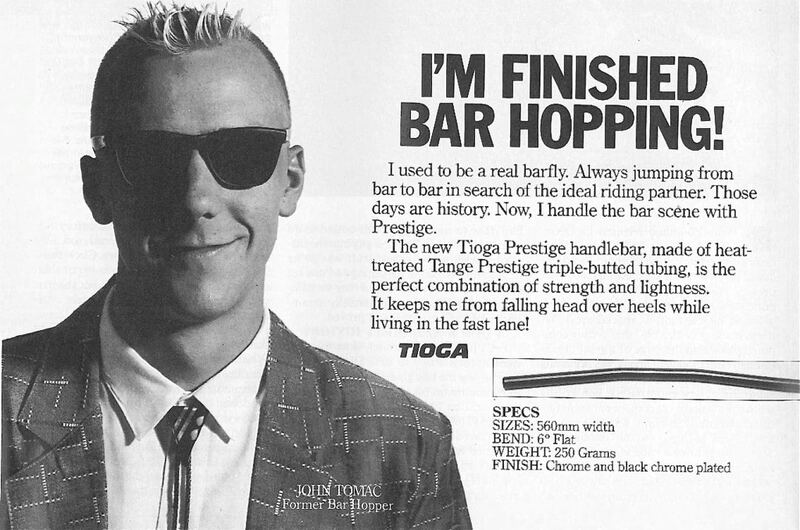 “Johnny T” was already famous for trying different kinds of bars on his mountain bikes, even using drop-bars from road bikes for his downhill racing. 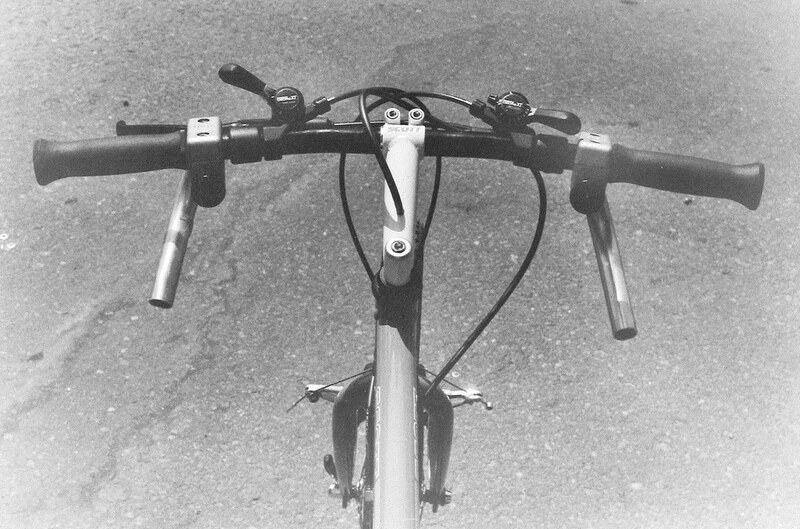 “Folded up: Grizzly bars can be folded out of the way when not being used on the road. 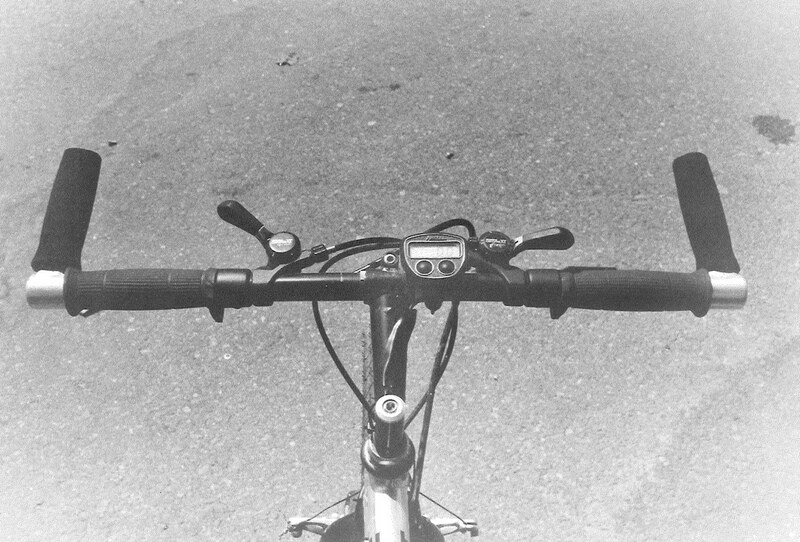 A tension knob can be used to place the drops in any of four positions,” we said of this photo. 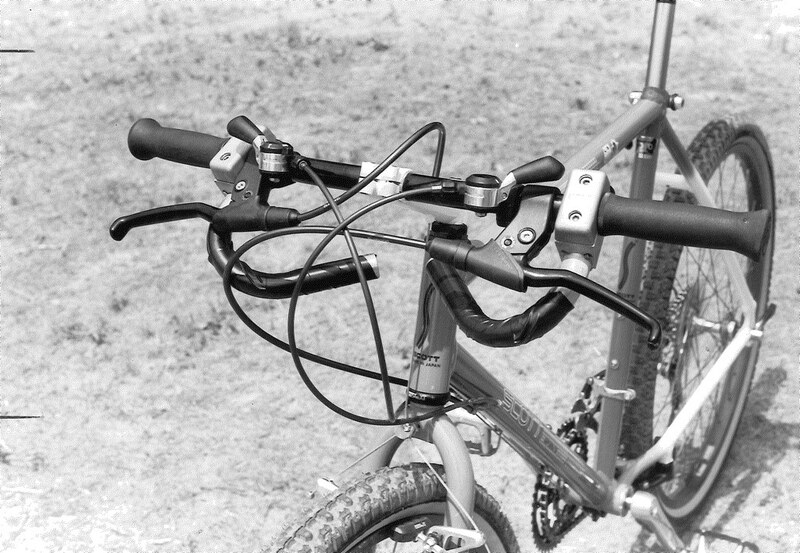 We tried out the Scott clamp-on DH bars, which came as an extra on the Scott Superlite bike in 1988. 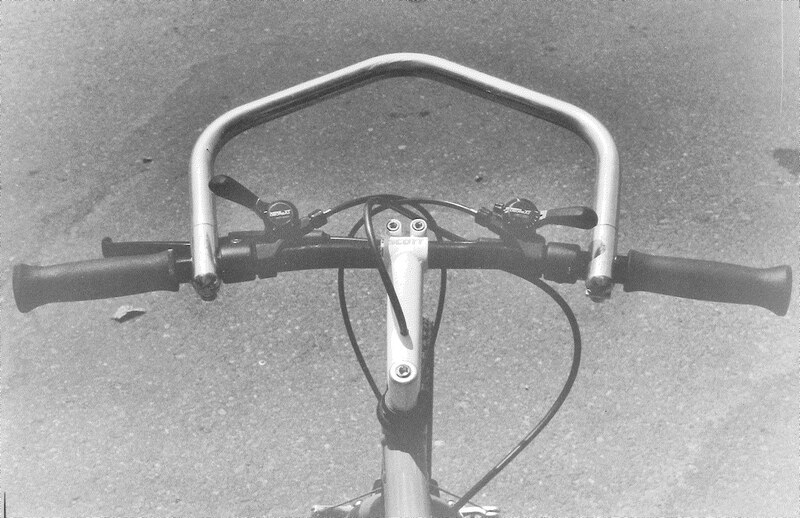 We didn’t say much about the clamp-on addition, but we did note that it was interesting that most aluminum bikes in those days came with steel handlebars, and most steel frames came with aluminum handlebars. Go figure.